In 2016 Mitsuko Uchida embarks on a close partnership with the Mahler Chamber Orchestra directing Mozart concerti from the keyboard in extensive tours of major European venues and Japan. Other highlights of the 2015-16 season include an acclaimed performance of the Schönberg piano concerto with the London Philharmonic and Valdimir Jurowski at the 2015 BBC Proms, play-directing the Cleveland Orchestra in performances at Severance Hall and Carnegie Hall, and two appearances at the 2016 Baden-Baden Festival with the Berlin Philharmonic and Sir Simon Rattle. Recital tour venues in 2016 include the Amsterdam Concertgebouw, Théâtre des Champs Elysées in Paris, the Vienna Konzerthaus, the Royal Festival Hall in London and Carnegie Hall in New York. With a strong commitment to (deleted ‘playing’) chamber music, Mitsuko Uchida collaborates closely with the world’s finest musicians. Following concerts with Dorothea Röschmann, the Ebène Quartet and Magdalena Kožená in 2015, Uchida will also appear in chamber music programmes with members of the Chicago Symphony Orchestra in the United States, and with Jörg Widmann and members of the Mahler Chamber Orchestra in a residency at the Alte Oper in Frankfurt. Mitsuko Uchida records exclusively for Decca. Her extensive discography includes the complete Mozart and Schubert piano sonatas. Since 2011 Uchida has been recording Mozart’s Piano Concerti with the Cleveland Orchestra live in concert and directing from the piano. The first release won a Grammy Award in 2011. The latest release (August 2014) features piano concerti K456 and K.459, and Uchida will record the next instalment in 2016. Her recording of the Schoenberg Piano Concerto with Pierre Boulez and the Cleveland Orchestra won four awards, including The Gramophone Award for Best Concerto. The next Decca CD to be released shortly, fruit of her collaboration with Dorothea Röschmann, will feature lieder by Schumann and Berg. 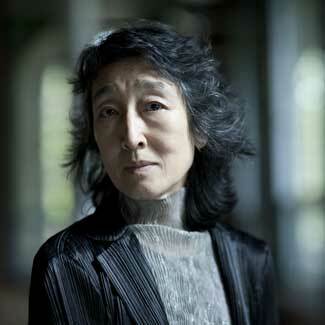 Highly committed to aiding the development of young musicians, Mitsuko Uchida is a trustee of the Borletti-Buitoni Trust and Director of the Marlboro Music Festival. In May 2012 she was awarded the Royal Philharmonic Society’s Gold Medal. In June 2009 she was made a Dame Commander of the Order of the British Empire and received an Honorary Degree from the University of Cambridge in 2014. A guest of honour at the Salzburg Mozartwoche in 2015, Mitsuko Uchida was awarded the Golden Mozart Medal. In October 2015, she received the Premium Imperiale Award from the Japan Arts Association.